When you're a military spouse with no kids, you do a lot of 'cooking for one'. 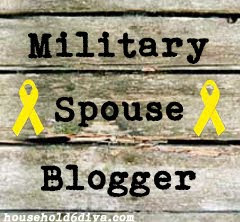 Field time, schools, deployment, staff duty... there are dozens of reasons your spouse won't be home for dinner every night. The simple task of making a meal becomes daunting when you consider how many leftovers a single dish will create. I'd be eating lasagna for a month if there was no one here to share it with! The answer? Basic recipes with only one or two servings each. These aren't always easy to find or create, but it can be done, and I want to help! Hence, this new series (which I hope to have guest contributors for, like you! ), Cooking for One. In general, one of the easiest 'Cooking for One' categories is seafood. You can purchase exactly the amount you want (1 or 2 servings) at the seafood counter. For me, the Hubs is very particular about anything from the ocean, so I use his time away as an opportunity to cook things he may not eat. Gotta find those positives where you can, right?! 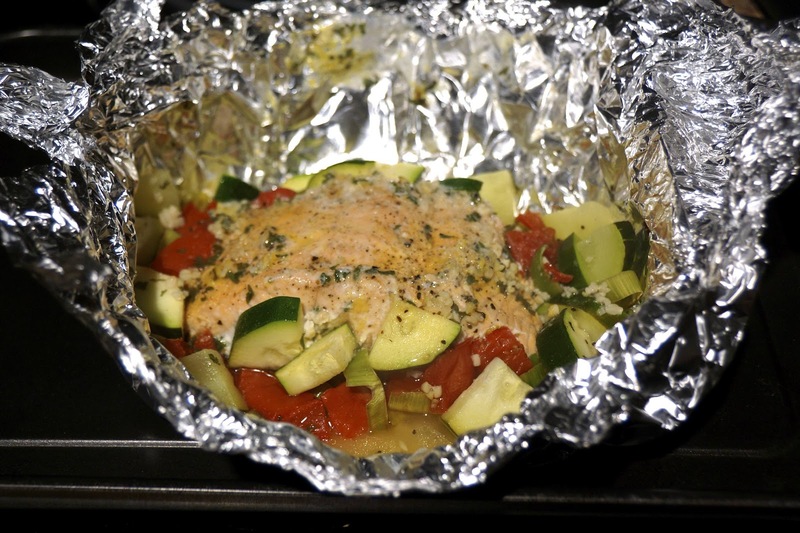 So today, we're going to start with a basic cooking method and one of my favorite finned friends: Salmon Foil Packets! Including your prep time, this recipe takes about 30 minutes (but that includes 20 - 25 minutes of baking in the oven). This is easy to toss together, is good for you, and my favorite part... it often uses up all the odds and ends of produce hiding in my fridge. To get started, preheat your oven to 375 degrees. 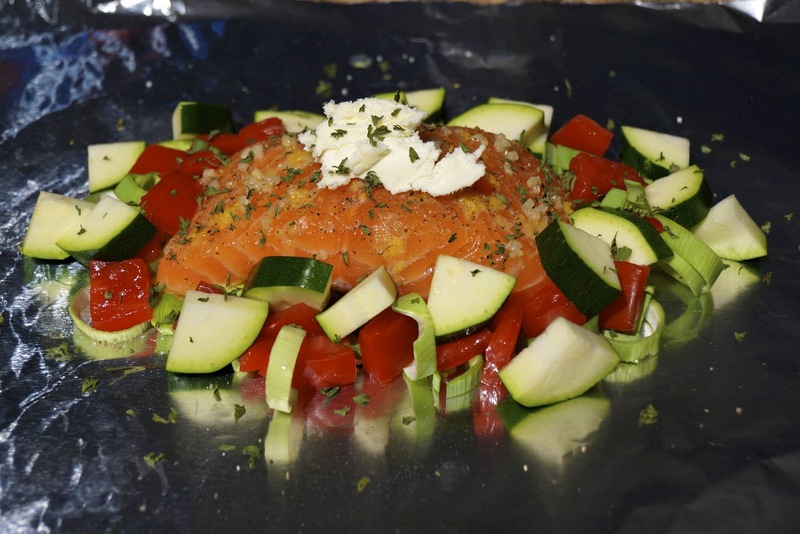 Cut one or two pieces of foil into a 12-18 inch long piece (this depends on the size of your salmon and the amount of veggies you plan to use. I always cut mine the bigger size. Better to have extra space than not enough, yes?). Then you just layer all your ingredients! I start with lemon slices on the bottom. I can't have seafood like this without that tangy lemon flavor. * Note: If you choose not to use any lemon slices, I suggest using a thin coat of non-stick spray on the bottom, or use non-stick foil. Next comes the salmon itself, followed by my favorite seasonings (usually garlic, a little lemon zest, salt, pepper. Nothing too fancy). Then, a big old glob of butter. For my health nut friends, you can substitute this if you like. However, you want to use something in place of it which will provide a little moisture. And finally your veggies. I clean out my pantry and crisping drawer on this step. On this particular night, I had a zucchini, a tomato, a small amount of red pepper, and a bit of leek to use up. So that's what went into the packet! You can use whatever veggies you have on hand, about 1/2 cup - 1 cup worth for each portion. Before scattering them around your fish, season well (I normally use a little salt and pepper, maybe even some lemon pepper if I'm feeling really wild). Finally, add a little sprinkle of parsley on top of everything. You can easily skip this step if you want. But I love the little bit of color the parsley adds to the top of the salmon. Yeah, it looks silly. But that salmon will taste oh so good, I promise! 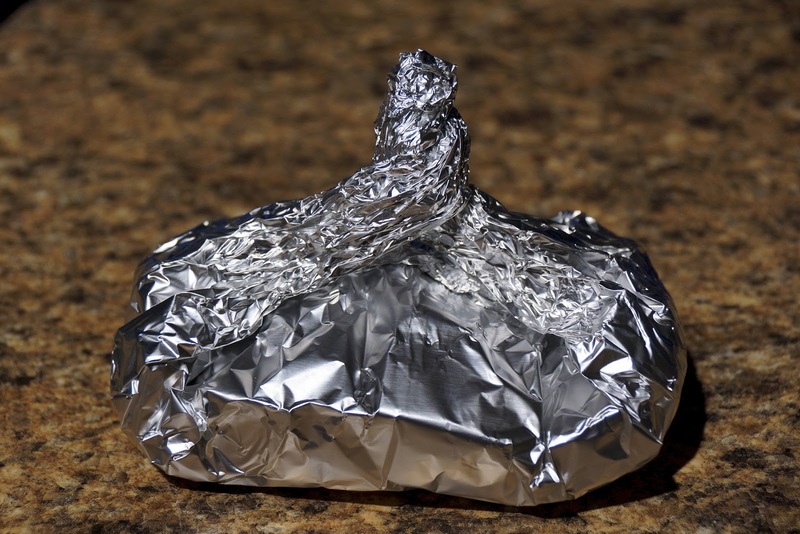 Place your foil packet on a cookie sheet, throw in the oven, and walk away for 20 - 25 minutes. Paint your nails, watch some TV, kick back with a glass of wine. Whatever makes you happy. When your kitchen timer beeps, remove the cookie sheet from the oven and prepare to enjoy. You can eat these right out of the foil packet, but be careful of the steam when opening. I was too impatient, and ate this right out of the oven! You can place your final product on a plate too (and I usually do). Simple, fast, and good for you... without those pesky leftovers! I hope you enjoyed the first post in my new Cooking For One category. I'd love to hear about any recipes you make when your spouse is away... feel free to email me with your ideas, and become a guest blogger! As always, the standard recipe is below. Preheat your oven to 375 degrees. Cut a large piece of foil (approximately 12-18 inches long). 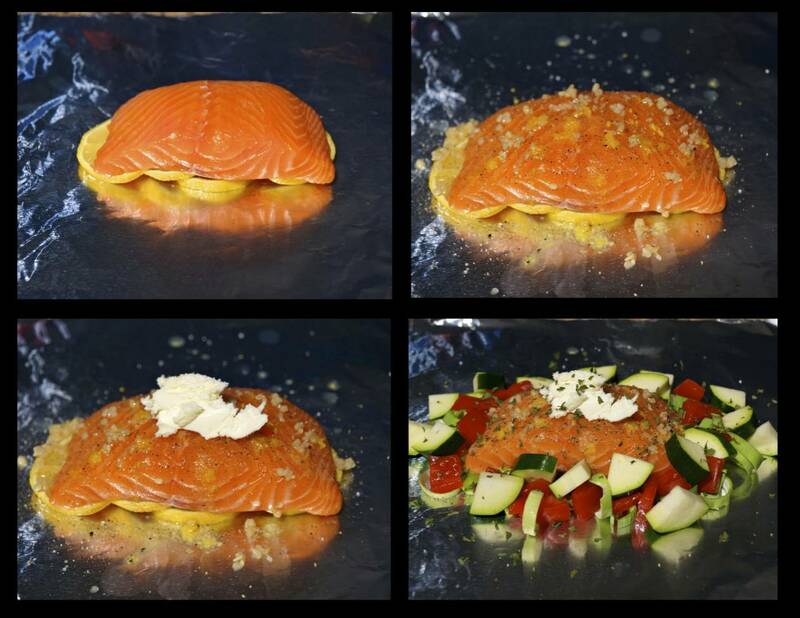 Layer your ingredients in the center of the foil: lemon slices, then salmon, seasonings, butter, and parsley. Season your raw vegetables if desired, then scatter them around the salmon filet. Twist the foil closed to form a packet with no holes for steam to escape. Place on a cookie sheet and into the oven for 20-25 minutes, or until the salmon is done. Remove from oven, open foil carefully as steam will escape, then enjoy! That looks delicious! We are on a kick preparing sea food and grilling/baking in tinfoil. i like your idea to use lemon as a base, and the technique tks wrap like a Hersey's kiss is new and cool to me. Great post, Allie!